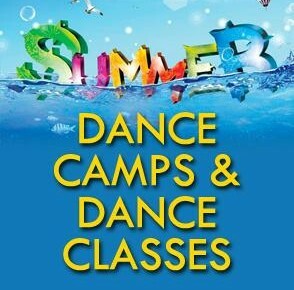 Enjoy the fun and enriching camps and classes that will be offered during the summer of 2017 at Colts Neck Dance. CND is offering a buy one camp and receive the second camp at half price during the month of February! NUTCRACKER HOLIDAY CAMP BEGINS TOMORROW!! YOU MAY CHOOSE ONE DAY OR ALL FIVE!! CALL TO RESERVE YOUR PLACE IN CAMP!! SEE OUR AWESOME SCHEDULE BELOW!! Reminder to bring a nut free snack!! Please arrive at 10:15 We look forward to seeing you! 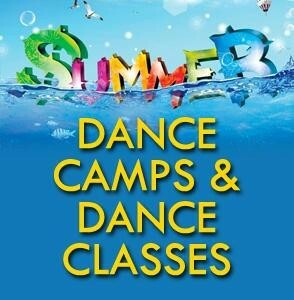 GIVE YOUR CHILD THE GIFT OF DANCE THIS SUMMER! Professional Staff, Awesome Camps, Classes and Intensives !! View our CND Summer Schedule below! CND to hold Competition Auditions first week of May! Dancers Age 6 years of age by October 1, 2016 Dancers to be auditioned in class the first week in May with Miss Licia. PLEASE SIGN UP AT THE FRONT DESK, COMPLETE THE AUDITION FORM AND BRING IT WITH YOU. Land that I Love!! Happy Independence Day! Our sincere thanks and gratitude to the Military and their Families for serving our country! Join us next week for Annie Camp- Awesome Song, Dance & Theater Games!! 10am – 2pm July 6-10th Open to all Ages!! Princess Camp featuring Ariel & Snow White – Creative Movement, Crafts and so much fun!! 9:30am – 12:30pm, July 7,8,9th Preschool – Kindergarten!! Check out this link for our exciting summer calendar!! “Celebrate” 20 Years of Dance! CND Pride!!! Congratulations to Colts Neck Dance & Performing Arts Academy Students, Parents and Staff on a memorable recital!! “Celebrate!” 20 Years of Dance was fantastic! The dances were great and our “CND DANCING STARS” were gracing the stage! From the youngest to the eldest, we were impressed by the charm, grace and commitment to every dance. All of the dancers looked beautiful and all of us parents and staff were beaming with pride!! Many thanks for the 20th year presentation in the last show! I was so surprised, it’s been an honor representing Colts Neck Dance & Performing Arts Academy and being welcomed in our community for 20 years! I have an incredible amount of support with my family and friends. My two best friends… daughters, Elizabeth and Katherine who choreographed and performed “I Hope You Dance” a piece that is forever etched in my heart. A special thanks to my dear friends Karen and Hugh Riley for creating the dvd tribute and sharing it with everyone. Just one of many things that you do for the families at CND! Thank you for the beautiful presentation, it means a great deal to me. Congratulations to our incredibly talented teachers and dedicated CND staff. Without your talent, vision and assistance none of this would have been possible. I applaud the backstage moms and crew that were with our students, the Colts Neck Dance alumni that assisted, and of course the front door crew and backstage crew. The show ran smoothly and it was awesome being with all of you on the best day of the year!! A Special thank you to the Ladley family, my late husband James Ladley co-founder for encouraging me, my parents Jeanne and George Hawke for giving me the gift of dance, my brother Randy Hawke for the beautiful program every year, my sister Amy Johnson and husband Michael for their assistance. My fun loving children and my husband Frank Calamusa and the Calamusa family. Thank you for the love and support. As Colts Neck Dance & Performing Arts Academy’s celebrates it’s 20th Anniversary we would like to acknowledge the alumni dancers that have graced our stage ALL of them. They were perfect in every way, they shared a love for dance and the performing arts. There were 83 students upon opening in July 1995 and there have been thousands to date. Our hope and wish is for families and communities to continue to support the performing art of dance, theater and performing arts education. I am honored to advocate as a dance educator. Parents, thank you for sharing the amazing gift of dance with your child. Dancers, thank you for dancing it brings us happiness and joy to see you dance. Thank you again for Celebrating with us! Keep Dancing! !